When an established community was faced with census challenges, it embraced changes in product, pricing, marketing and sales. 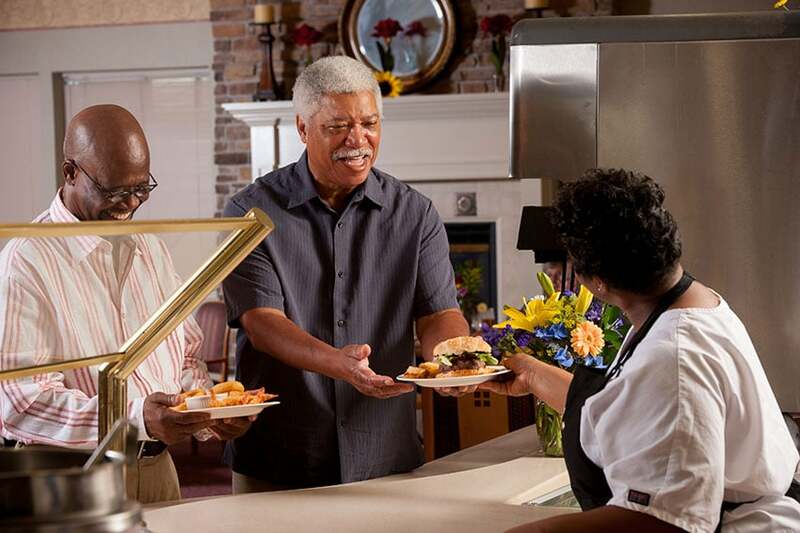 Augsburg Village is a faith-based, not-for-profit CCRC in Baltimore, Maryland, that has been serving seniors since 1892. The community has traditionally enjoyed high occupancy, a strong wait list and an excellent reputation for healthcare. 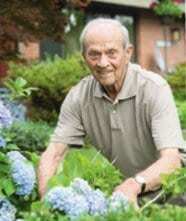 However, with aging residents and the economic downturn, its independent living census had declined in recent years. To return the rate of move-ins above attrition, the community sought a partner to assess everything from its product and pricing to its marketing strategy, sales processes and sales team. In fall 2012 Augsburg engaged Love & Company for a sales and marketing assessment. We identified opportunities for improvements in four key areas—and management partnered with us to implement nearly all of them. Love & Company reviewed extensive background information and conducted two and one-half days of on-site interviews and explorations, followed by an internal pricing review and comparison of Augsburg’s pricing to real estate values in the primary market area. From this assessment, we created a brand platform that set the tone for all efforts moving forward. 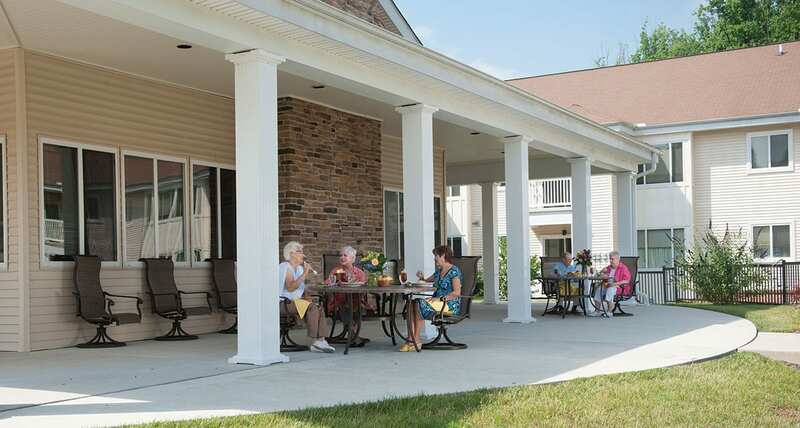 Augsburg enjoys several strengths—a position as the area’s leading value provider, financial stability, an excellent reputation of providing faith-based care and an inspiring, welcoming group of residents. However, the community’s external communications did not convey these effectively. We conducted a full rebranding, which included renaming. Management devoted the resources to enable us to implement a complete rebranding campaign, from a new logo and consistent signage to new marketing communications. 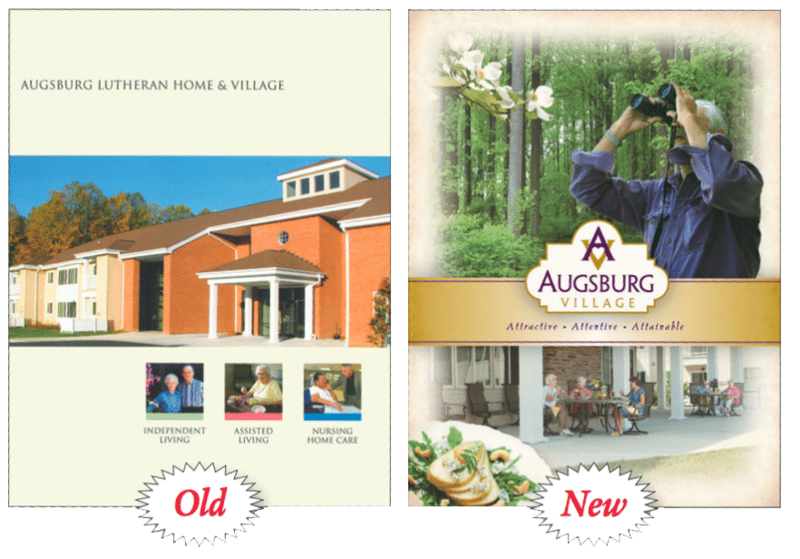 We conducted a strategic photo shoot and wrote and designed an all-new sales package and website focused on Augsburg’s lifestyle benefits. We developed a complete strategic marketing and lead-generation program, balancing cost effectiveness with the required goals. The plan expanded referral efforts and enhanced lead generation through the website and Internet. It included a series of events promoted through targeted direct mail, reallocating a portion of the budgeted advertising dollars to less-expensive direct mail. 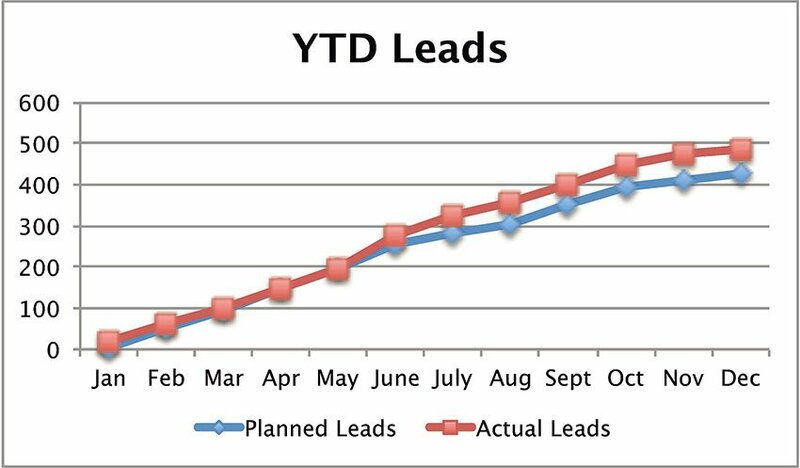 The year ended with 78% more new and re-engaged leads than the previous year. While Augsburg had recently built a beautiful town center and stunning, state-of-the-art healthcare center, several aspects of the campus still needed updating to appeal to today’s senior. We helped the community determine how to expand and renovate smaller residences that were not selling well. We also recommended changes that would make a better first impression and help show the community to its best advantage, from more attractive and plentiful signage to uncluttering the gazebo and computer room. Our sales consultants and strategy team worked closely with Augsburg to help hire an experienced sales director and implement a commission system. We also helped create model apartments so the sales team always had clean, well-appointed residences available to show. One of the most significant factors in improving the sales process was implementing the REPS lead management system and training the sales team on its optimal use. With improved data mining, reporting, lead management and prospecting, the team was better able to match potential residents with the appropriate apartment and build greater effectiveness and efficiency into its entire system. With leadership willing to change and invest in every aspect of its marketing and sales efforts, the results in just one year were dramatic. Lead generation nearly doubled over the previous year, increasing from 268 per year to 478. Move-ins grew from 16 in 2012 to 29 in 2013, an 81% increase that not only replaced turnover but also rebuilt census levels. If you’re facing census challenges or struggling to turn leads into sales in a tough selling environment, Love & Company is an experienced, full-service firm that you can trust as a partner to deliver real, cost-effective results. Augsburg’s success highlights all a community can achieve when Love & Company brings its full range of marketing, lead generation, creative and sales expertise to the partnership. Please contact Love & Company if you are ready to embrace change for the better. In one year with Love & Company, leads nearly doubled, sales increased 81%, and census increased from 82% to 90%.